This is an update to the allegation we made here while the UK General Election was underway. We followed it up here. 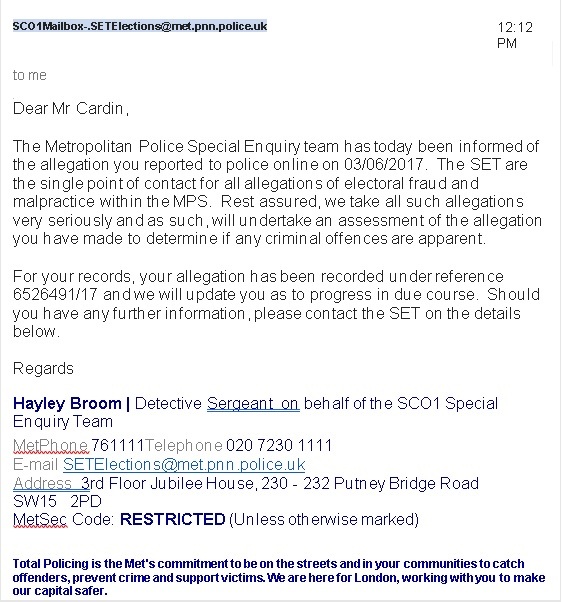 We accept it’s a bit of a side show when you consider that the Met Police are currently investigating, but for the Electoral Commission to refer us to guidance, and fail to spot a potential crime, it does indicate either a lack of urgency or a tendency to ‘pass the buck’ on the part of the body that was set up to regulate all ballots and elections.